A controlled substance is any substance in which the state government regulates its manufacturing, distribution, and usage. Being charged with possession of a controlled substance is a serious matter and you will face severe consequences. Possession of Schedule I or II narcotics, such as 15g of Heroin, Cocaine, Morphine, LSD; 200g of Peyote, Barbituric Acids/Salts, Ketamine; and 30g of Amphetamine, Pentazocine, Methaqualone, Phencyclidine (PCP), and Ketamine in any form is classified as a Class 1 Felony under Illinois law (720 ILCS 570/100). Possessing other Schedule I or II narcotics is also considered a Class 1 Felony. Depending on the amount of the controlled substance found to be in your possession, you could face anywhere between a minimum sentence of 4 years and up to 50 years in prison. Fines range anywhere from $25,000 and up to $200,000. If you are charged with felony possession of a controlled substance, in addition to other aggravated crimes i.e. illegal firearm possession, you could face much more serious consequences. Possession of any other substance in any amount is a Class 4 felony, punishable with a minimum of 1-year prison time and up to $25,000 in fines. To be convicted of felony drug possession, the prosecution must prove (1) the identity of the controlled substance, (2) that you knowingly possessed the controlled substance, and (3) that the controlled substance was in your actual or constructive possession. The prosecution must prove all elements beyond a reasonable doubt to convict you for the felony possession of a controlled substance. There are many defenses to felony possession of a controlled substances, such as entrapment, duress, lack of knowledge, or you had a legitimate prescription for the substance. Attorney John W. Callahan is very familiar with constitutional defenses for drug crimes. He will analyze the police reports to find out if the search and seizure was legitimate. 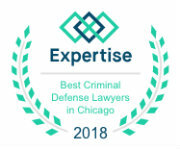 It is vital to have a knowledgeable Illinois defense attorney on your side as soon as possible after an arrest. 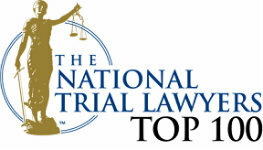 For a complimentary consultation to discuss your case, call 877-335-6697 or contact our firm by e-mail.